By any measure, I had a lot of things going for me ten years ago. I was a high-flying enterprise technology consultant for a great company, the owner of a brand new five bedroom house in Atlanta, and it had scarcely been a year since I’d graduated from college. I was on 100% travel, so I flew to the client site on Mondays and back home (or wherever) on Thursdays. This was a fabulous opportunity for a single, freshly minted college grad, but after the first hundred or so flights, the novelty started to wear off. It was nice to feel important and face daily professional challenges with a brilliant team of professionals from all over the world, but I couldn’t imagine doing that work for the next twenty years. I had a small web design operation on the side, which I started after building the first version of my personal website for a class project. It was a great way to amplify the soft skills and extracurricular activities that made me a strong candidate, and I started building similar websites for my ambitious non-technical friends when they saw how well it was working for me. Small business clients found me through word of mouth and before you knew it, my career as an accidental freelancer began in earnest. I devoted many nights and weekends to that side hustle, and it was the skills I learned while serving my freelance clients that allowed me to change my life when I was unhappy with its direction. After three years of working for The Man—not to mention two anxiety attacks in one weekend that we can talk about some other time—I quit. This business allowed me to walk away from my job and make a living while I figured out what was next. Most importantly, I decoupled my income from my physical location. This allowed me to go on some wonderful adventures like helping to launch a book publishing startup with Seth Godin and Amazon.com, working with the founding CTO of Mashable.com, living in Argentina, being on national television (iTunes link), and appearing in documentaries. But the greatest benefits were emotional and psychological. I had freedom, agency, and control over my environment. I hadn’t yet arrived at what felt like a calling, but I had the skills to keep the lights on. So I made the decision to optimize my life for freedom and autonomy rather than income, and this changed everything. I learned that once you cut the cord, you only have to cut it once—I’ve been making a living at the intersection of tech and publishing and media for more than six years now. I still do a bit of tech consulting because it’s fun and yes, lucrative, but also because of the freedom it affords me to build a media company on my own terms and provide thought leadership for my corporate clients. Technology specifically presents a number of unique challenges and opportunities for folks of color, and it’s not enough to retweet articles about the progress (or lack thereof) in the tech sector as it relates to tech diversity. 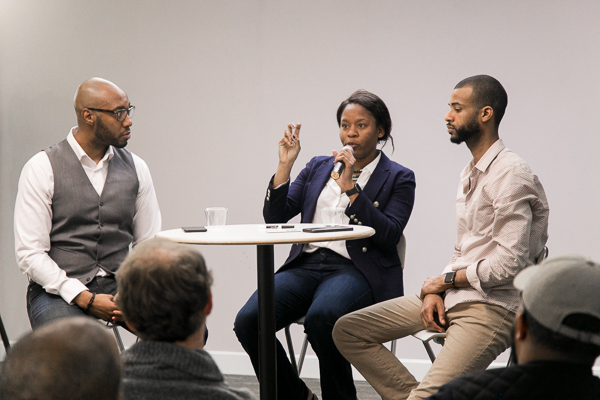 A lot of the disparities we see in tech aren’t simply a function of racism and discrimination, a large part of it is cultural knowledge and awareness that’s passed along socially and generationally. By discussing these complex topics honestly and regularly, the world of tech becomes less of an insiders club and a diversity of folks can unleash their brilliance in the organizations that need it. Dev Bootcamp—the original coding school—is doing the work, and their mission is in line with what I care about bringing to my audience: a greater awareness of what’s possible, both personally and professionally. 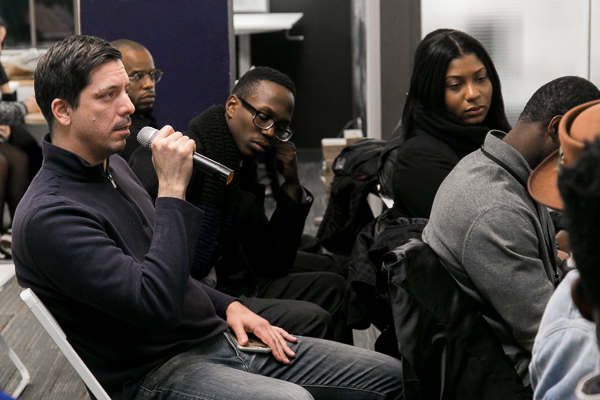 On Wednesday, February 22nd I moderated the Abernathy Black Tech Panel at the Dev Bootcamp HQ on Wall Street in New York City. 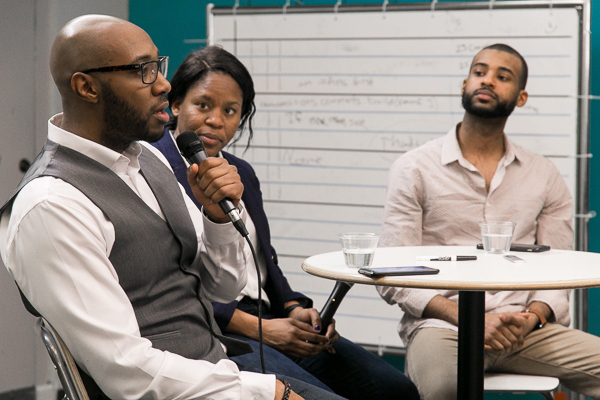 Joined on the panel by Career Developer Bie Aweh and program alum Chris Coles, we had a wide-ranging discussion about inclusion in tech, the culture of software development, and what we can all do to move the industry forward. The point of the event and the discussion was to illustrate a range of possibilities for folks looking to transition into tech, regardless of whether they want to write code for a living. Bie isn’t a software engineer, Chris writes code for a living, and I’m somewhere in the middle. 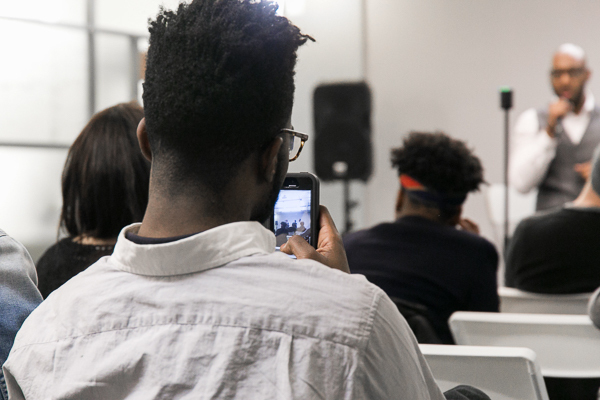 In addition to illustrating what life looks like for folks who participate in the 18-week Dev Bootcamp program, we discussed the role of community, belonging, networking, and self-care for historically marginalized talent making a living in tech. 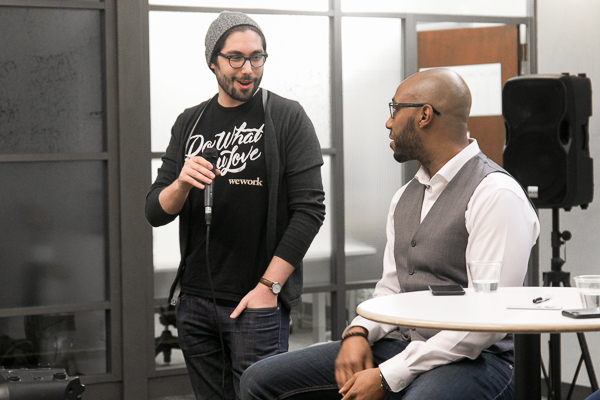 To kick off the program, Ari from WeWork joined me for an a capella rendition of Ebony And Ivory. That’s not actually true, but this is a great photo of Ari. WeWork and I connected in 2012 when I spoke at their first Summer Camp in the Adirondacks. This gives me significant street cred when I mention it to WeWork employees, which is hilarious since I spent most of that trip having the time of my life with a handful of my best friends. WeWork is all about collaboration, as their open floor plans will attest. Coworking spaces have been my saving grace since leaving corporate America, and WeWork’s offices are always teeming with creative professionals and ambitious entrepreneurs. They offer a number of flexible membership options for everyone from people like me who bounce around a lot and simply need wifi and coffee, to growing startups that don’t want to be their own landlord. 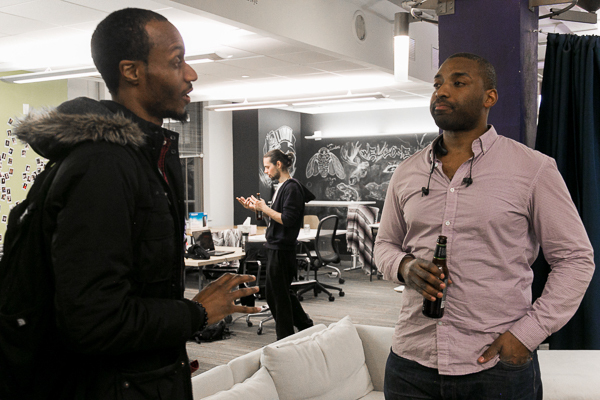 Dev Bootcamp’s HQ on Wall Street is a short walk from WeWork’s Fulton Center location, where they are offering a free Hot Desk membership for the month of March for everyone who attended the event. Interested humans should email fultoncenter@wework.com for more information on how to sign up. 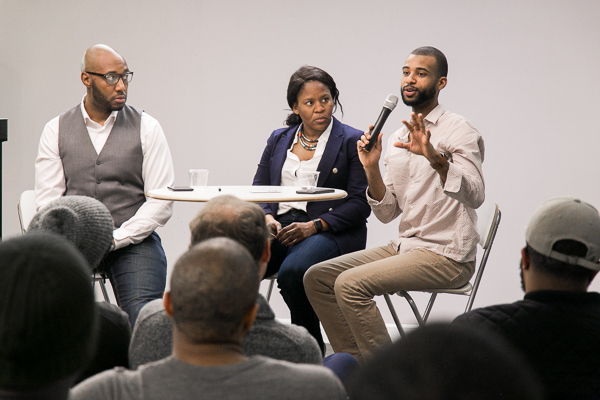 The reason I sought out Jopwell for this event is because of their story, what they stand for, and the crucial role they play for people of color. This isn’t just about qualified candidates being able to pay rent, it’s about historically marginalized professionals building the generational wealth previously unavailable. Working for famous companies that pay well is a badge of honor, sure, but what I care about is my friends putting their children through college. 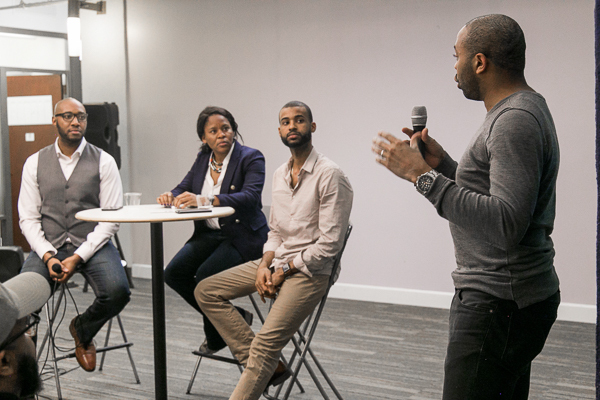 Jopwell is a career resources platform created by and for people of color—Ryan and Porter are two black men who left prestigious investment banking roles to help corporations recruit and retain diverse talent. 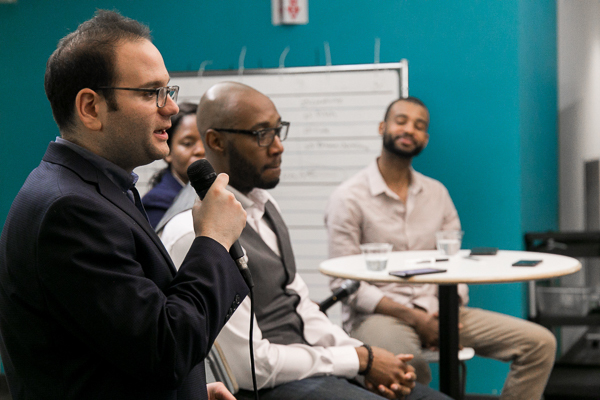 Some of the nation’s most well-respected institutions from Y Combinator to Andreessen Horowitz and Kapor Capital have backed their efforts and for the past three years they’ve been connecting Black, Latino/Hispanic, and Native American students and professionals to opportunities at over 50 of America’s leading companies across a variety of industries who are actively seeking to hire diverse candidates. 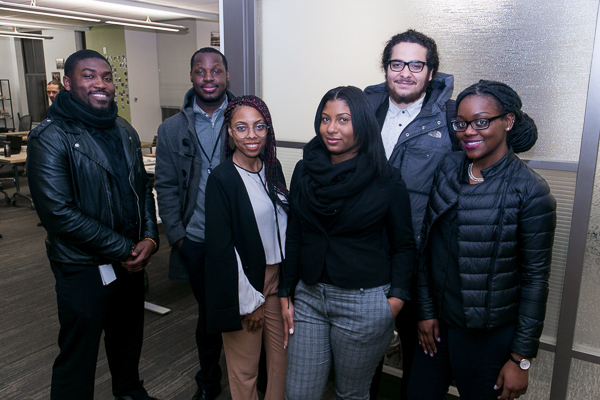 One of the reasons folks of color are poorly represented in many industries isn’t simply because recruiting, interviewing, and hiring practices need an overhaul—it’s also because many diverse candidates don’t feel like applying is worth their time. Searching for jobs in a competitive industry with the economy in turmoil is inherently unpleasant as it is, and can feel like an exercise in futility. 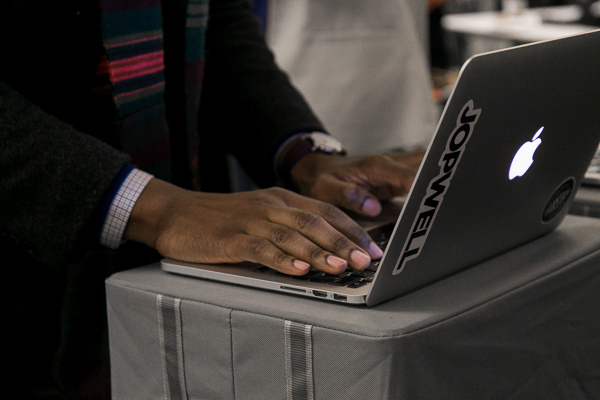 The beauty of Jopwell lies in the promise: applying for a role through their platform ensures your application is considered. 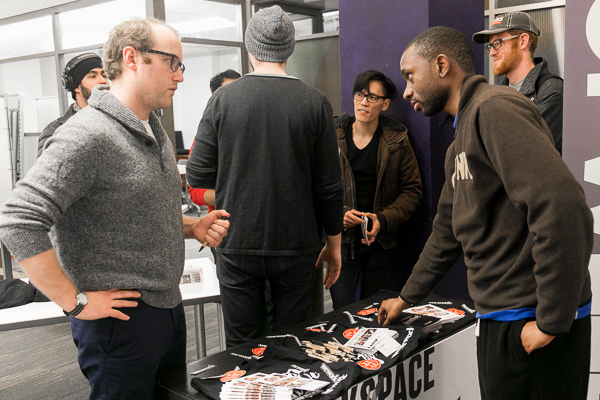 Not only do they help you identify interesting roles, they offer an array of networking, skill-building, and recruiting events to serve their community. To boot, they’ve got a content platform called The Well that surfaces stories and insights from industry insiders. 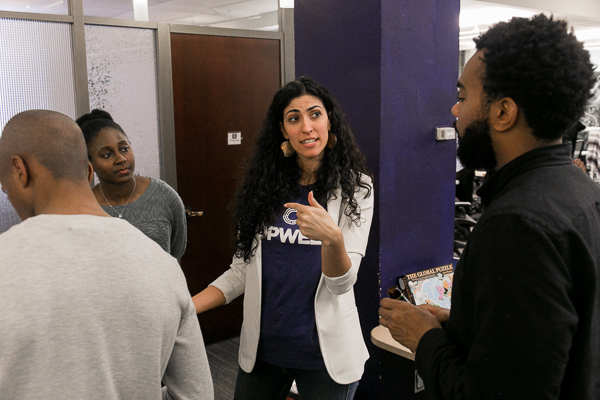 Jopwell was recently recognized by Fast Company as one of the most innovative companies of 2017 and Talent Manager Nadia was on hand to share what 50,000 active members already know—Jopwell takes a lot of the pain out of the job hunt for people of color. Email [email protected] if you have questions about the platform and opportunities, and you can sign up here. An event is worth doing when you have a photo that makes it look like you know what you’re talking about. We’re done here. Phillip actually isn’t actually an angry guy, but this photo could be entered into a caption contest. Rob trying to explain why there wasn’t a chocolate fondue waterfall. Futile. Alan Johnson (right) works for Artsy and came to show support. My neighbor Anthony Brown chats with my friends Robin Zander and Emily Doherty who were in from SF. New friends from Year Up! Shouts out to Briana (tan pants) for bringing her colleagues. Jordan Thomas, a product manager at HBO, drops some knowledge on us. Bie Aweh explaining how she feels about the state of “diversity and inclusion” in tech. Derby, VP at Hackerati, both hired panelist Chris Coles and pulls no punches regarding how unacceptable the state of diversity is in tech. 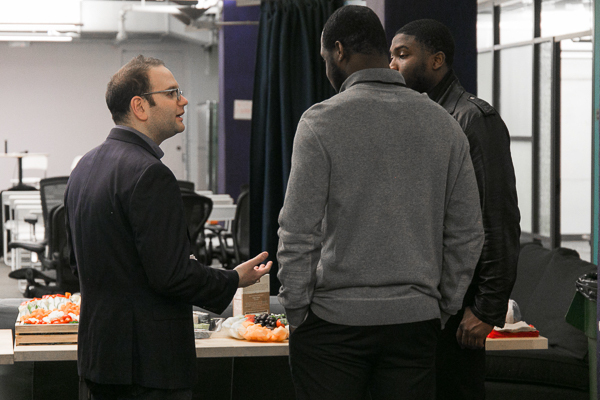 Chris was probably explaining why Node.js is the future of the web as we know it. 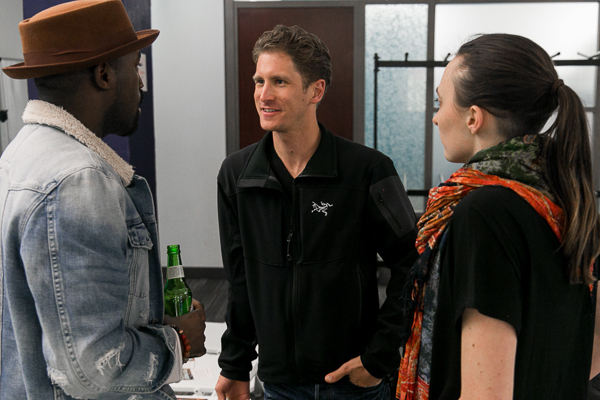 Rob was a gracious host and I look forward to putting more events together with Dev Bootcamp. Jopwell should license this photo. Holla at me, Ryan and Porter. Nadia doing what she does best. Photos by Vonecia Carswell Photography.